Detectable Underground Mesh is a coloured plastic detectable mesh for marking and detecting buried underground pipes, cables and services. 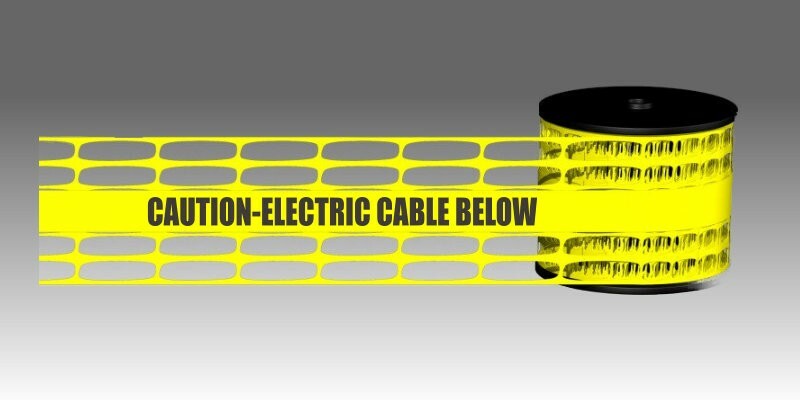 Detectable Mesh detectable tape can be used in conjunction with cable & pipe locators & cable avoidance tools (CAT & GENNY). Detectable Underground Mesh detectable tape is manufactured to BS EN 12613. Detectable Underground Mesh is manufactured from high strength coloured rot resistant homopolymer polypropylene plastic mesh incorporating a traceable stainless steel wire or aluminium foil, and overprinted with a warning message in black.